Im on this hardware stuff for almos 2 decades and I never seen high end pc components being so premium. I'll admit that GPUs have never cost so much. But CPUs regularly cost over $500 when they are released. 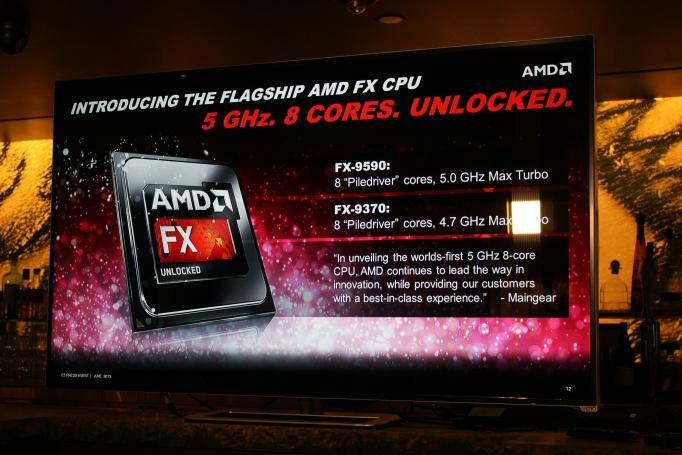 FFS the FIRST AMD "FX" chips (back in the Athlon 64 days) cost over $900. base clock will be 3.2ghz to get those 95W TDP ? Their water chiller's leaking into it. Lower base clock in exchange for more cores is nothing new. However, all cores turbo is where it's at. That said, 10 cores within 95W would be quite a feat, I expect these to need a little more than that. Intel, as things are, can not pre empt AMD; they're playing defensive. TDP is specified at base clocks, let's not have this discussion again. We're already off topic. The problem I see here is these don't work on current motherboards. And if you buy one of these, you know Ice Lake is (eventually) coming and will require yet another motherboard. The CPUs themselves are fine. Everything around them is not, however. 2-3 years. I lost count. Right, and AMD did the same when they had superior CPUs in the past. Even Intel had a model between $350 and $999 during i7's glory days. I'm still not sure why this gets brought up so often. You lead by a sizeable margin, you get to charge a premium. That's how business works. End of story. Oh look, oh look, this guy can't even look back to 144Hz but can enjoy games at Sub-30FPS on consoles. Bad liar. News flash, that 500 dollar CPU was never a requirement to play games. Not even for your magical 240hz - that is just a surrealistic FPS target consisting of 40% marketing and 60% placebo that you've fallen for. Evidence in the fact 'you can't look back to 144hz'... its sad and funny all at the same time. You have no idea. Just because a number's higher doesn't mean it means anything. Its the same as with 4K monitors and how half the gamurs play on them at a downscaled 1080p because 'woopsie, games do really get tougher on my GPU over time'. There is always going to be something to blow insane amounts of money on, with questionable benefits. Wake up... You can still easily game on a reasonable budget. You remind of those guys that once said "human eye can´t see more than 24 fps". And also those that said 120hz was useless as no one ever needs more than 60hz and so on... 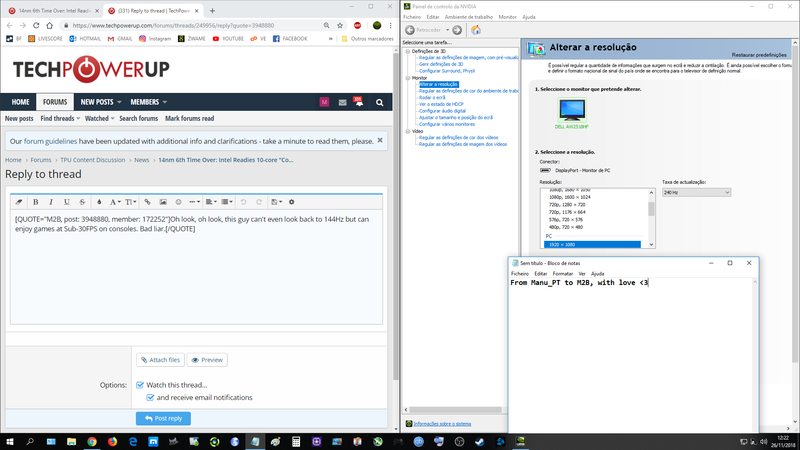 I still have my 144hz LG and I do a lot of tests between it and my Dell AW2518 and the different is HUGE, to the point that I can now see the mouse pointer lagging on windows desktop. You can live on denial if you want. 240hz is objectively superior to 144hz and everone can notice it. And if you use 240hz for a long time you will not accept 144hz. Also you don´t need 240fps to take advantage of 240hz. Research on Blur Busters forum and website and read the technical analysis about the subject made by Chief. Cool story, but your point was that gaming is unaffordable these days and then you bring in surreal demands in terms of FPS targets that less than 1% of the audience cares about. The vast majority of games cannot even keep half that framerate on the fastest CPU. You're comparing ultra high end demands to mid-range price points and then say 'its not fair everything costs so much' and/or 'Why can't Intel make a faster CPU'. So yeah, its quite hilarious to see you didn't get that memo right here. So great, you can now notice your mouse pointer lagging on the desktop at 144hz. I don't. Who's experience is really better now? :)Diminishing returns is a thing, look it up. 24 fps or 60 or 144 or 240, its quite a stretch. There will always be a next best thing, that doesn't mean its something you'd need. They're not releasing this on HEDT. HEDT doesn't have the ringbus that games love. You make 0 sense, and besides you got vayra's post totally wrong.